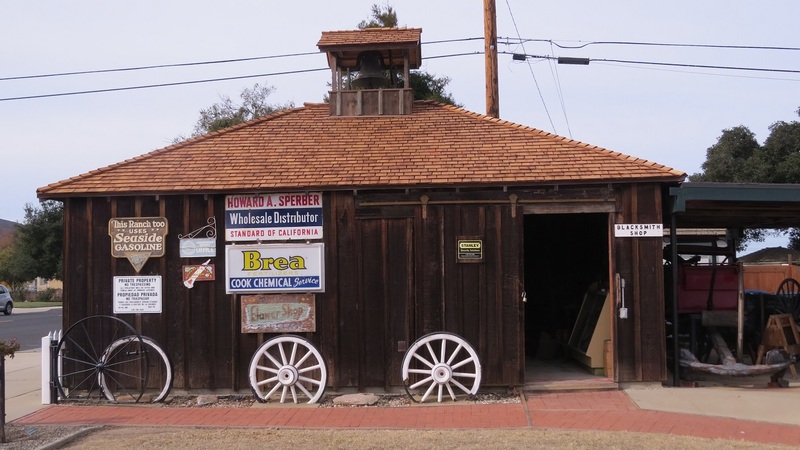 Situated in an old garage clad n redwood barn boards,the Blacksmith shop includes all of the equipment necessary for an old time blacksmith. A forge, anvil and miscellaneous tools are showcased in the facility. The walls are adorned with the burned imprints of cattle brands from local area ranches. Mr. Fabing and Mr. Spanne were both blacksmiths. 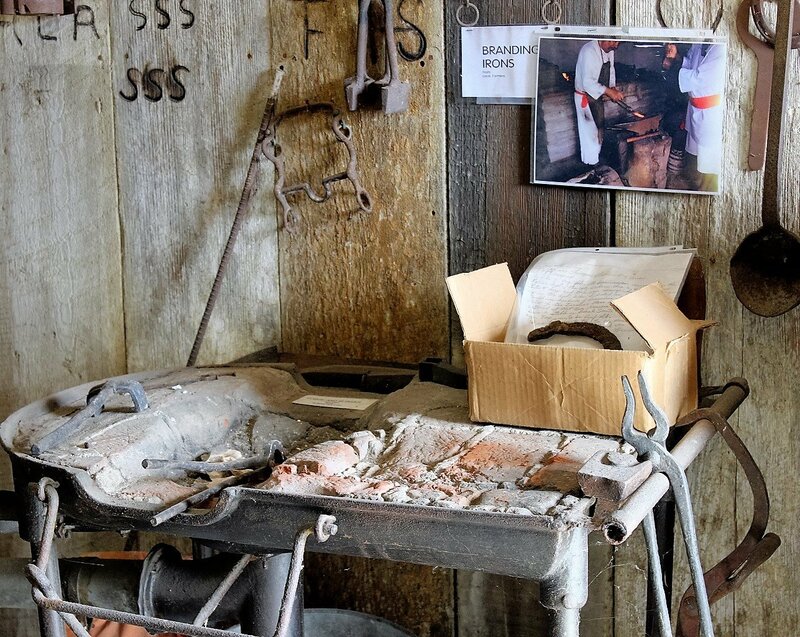 Undoubtedly our blacksmith shop features some of the tools with which they were intimately familiar! Outside the Blacksmith Shop is the anchor from the "Chauncey," one of the seven Naval Destroyers that were grounded off Honda Point in 1923. The anchor was retrieved from the ocean by a Vandenberg Air Force Dive Club and placed on a bluff above the site of the wreck. It sat as a memorial at that location for many years. However, it was not accessible to the public, since it was on Vandenberg Air Force Base property. The bluff was becoming increasingly unstable and the Air Force wished to have the memorial removed. Through cooperation with the U.S. Navy and Vandenberg, the Lompoc Valley Historical Society was given the anchor as a long term loan. The anchor was badly rusted, having received no care since it was raised from the sea. Historical Society volunteers treated it with a coating of black rust inhibiting paint to preserve it. Efforts are underway to move the anchor to another location on the property giving it the dignity it deserves. Currently, it shares space with a couple of wagons and other artifacts. Above is a photo of the anchor being placed on a truck for its ride into town to be relocated to Historical Society property.